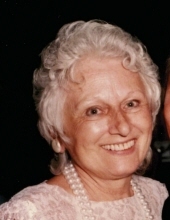 Irene A. Diks nee Koleski, age 98. Devoted wife of the late Irvin; beloved mother of Diane Diks and Michael Diks; loving grandmother of Mal Kling and Dexter Kling; dear sister of the late Olga Maring and the late Richard Koleski. Visitation Saturday, April 6, 2019 from 10:00 a.m. until 11:30 a.m. at Cumberland Chapels, 8300 W. Lawrence Ave., Norridge, IL 60706. Funeral Mass to follow at St. Eugene Church in Chicago at 12:00 noon. Interment Elmwood Cemetery. In lieu of flowers donations to Rainbow Hospice and Palliative Care – Foundation, P.O. Box 74008824, Chicago, IL 60674-8824, www.rainbowhospice.org would be appreciated. Info 708-456-8300 or www.cumberlandchapels.com. To send flowers or a remembrance gift to the family of Irene A. Diks, please visit our Tribute Store. "Email Address" would like to share the life celebration of Irene A. Diks. Click on the "link" to go to share a favorite memory or leave a condolence message for the family.